The stable has had an excellent 3 days getting winners Saturday, Sunday and Monday. 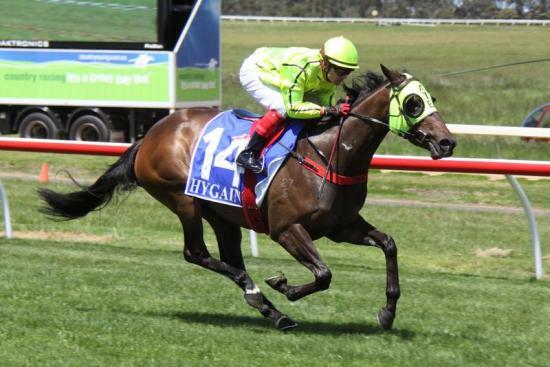 We started off with Iceconi winning at Colac on Saturday. She won the last race the 2000 metre maiden by 2.3 lengths. She was ridden well by Fabian Alesci. Our next winner was on Sunday at Hamilton where Ready Diva won race 2 the 1400 metre maiden. Our third winner was Monday at Swan Hill where the consistent Mr Obvious won race 6 the Benchmark 72 over 975 metres. He won well by a length and was ridden by Tom Sadler. Let's hope our winning luck can continue over the next few days when we have runners at Bendigo, Ballarat, Stawell and Mortlake.